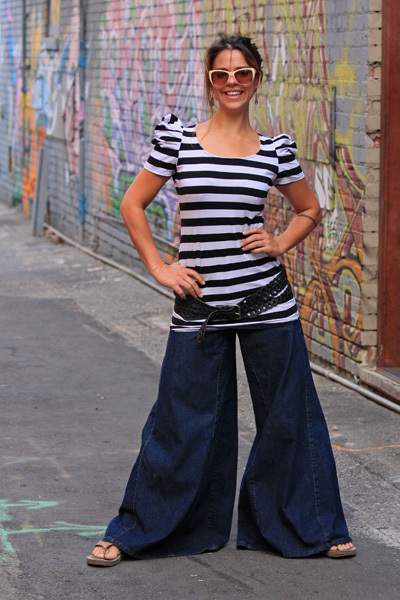 Boise Style: Wide Leg Pants . . .
Love the sleeves balancing the really wide pant legs. I really like the wide leg trend. I even just have a problem with the length. I like them even longer, dragging on the floor. So it makes your feet and shoes invisible and gives a special feeling and more balanced look (bell bottom). When I showed for the first time my new jeans to my 10 years old daughter, she laughed at it. Nowadays she has taken over my style!